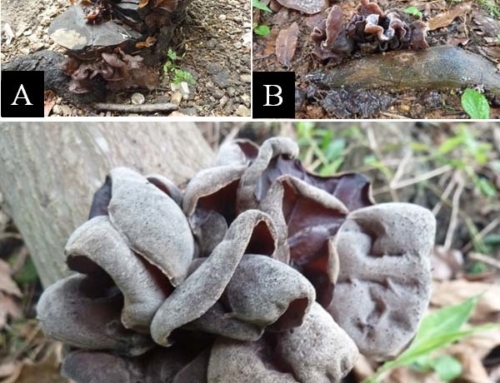 Fruiting bodies sessile, resupinate or laterally attach to wood surface; pilei 1 × 2 cm to 4 × 6 cm in size, bracket-shaped, grow in bunches, tough and coriaceous, white at early stage, later covered with red or red-brown layer of cutin with white margin; pore surface white to cork coloured, 2-3 per mm, irregular shaped; spores 8-12.5 μm × 3.5-5 μm, cylindrical to oblong ellipsoid, hyaline. 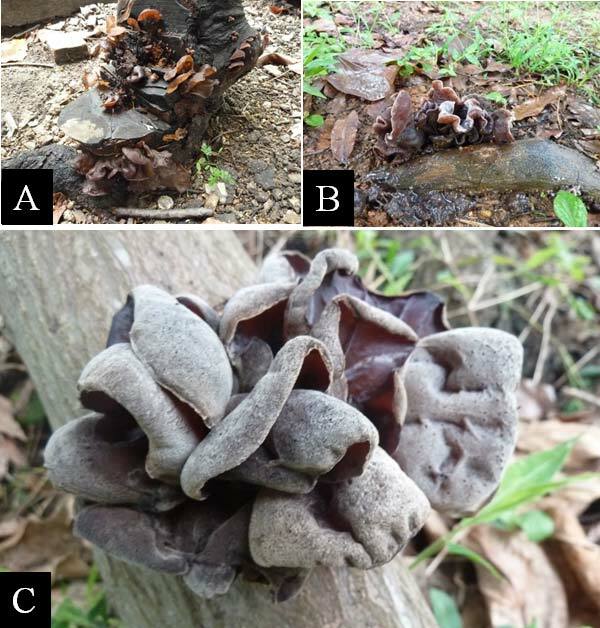 This fungus is mainly found in the tropical region and associated with broadleaved trees such as Acacia spp., Ficus microcarpa etc. as well as on dead/dying trees locally in urbanised setting along roadsides, on slopes and in parks. It is also found associated with surface of pruning wounds on branches and damaged areas on the tree trunks. 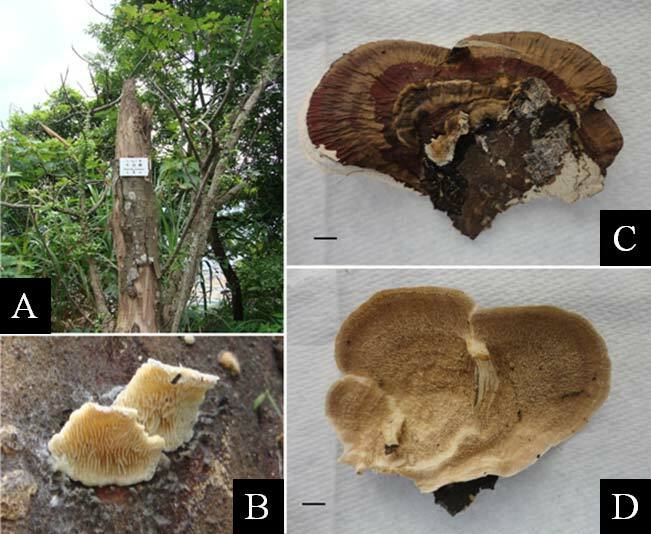 As wounds serve as entry courts for this fungus, fruiting bodies could be observed on pruning wounds and damaged tissues on branches and tree trunks. 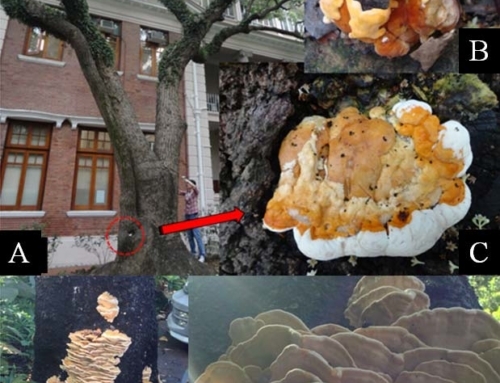 This fungus is likely to cause localised decay on tree. Most often trees observed with this fungus are already weakened with non-specific symptoms of crown abnormality such as defoliation, dieback and small leave size, etc. 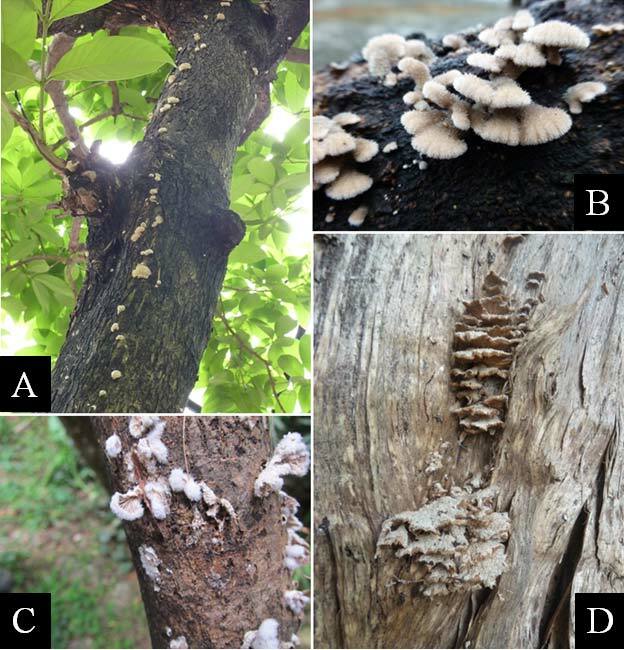 This fungus is reported as a saprotrophic fungus on deadwood and causing white rot decay, but its ability to associate with exposed living tissues (sapwood) on the main trunk of weakened tree hosts reveals the weakly pathogenic nature of this fungus with low virulence. 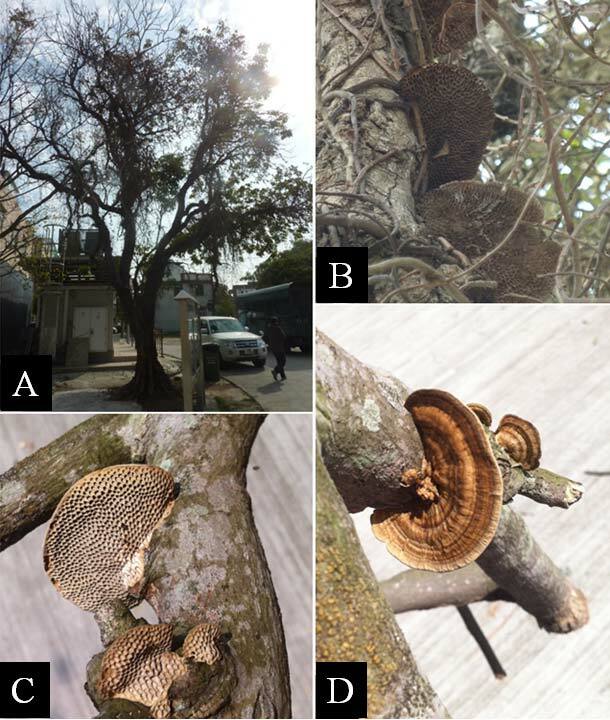 Further to the degradation by this fungus, the infected trees may be subject to attack by other opportunistic fungal pathogens. 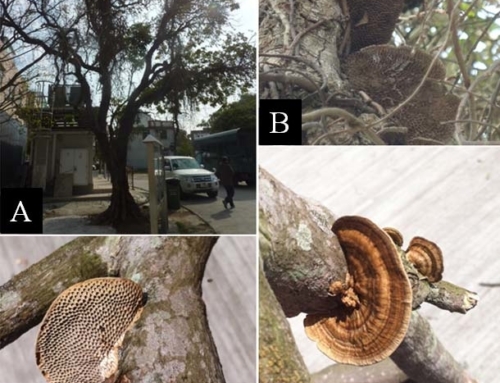 Risk category: Low (YELLOW) Since this fungus may aggravate the health and structural stability of weakened trees, infected trees should be put under monitoring if the fungus is associated with the main trunk and major branches of stressed trees. 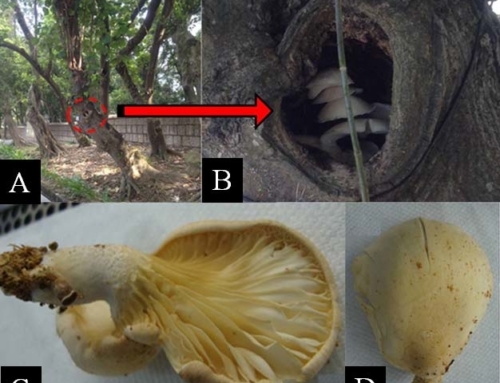 For trees observed with this fungus on small branches, the defective part should be removed. 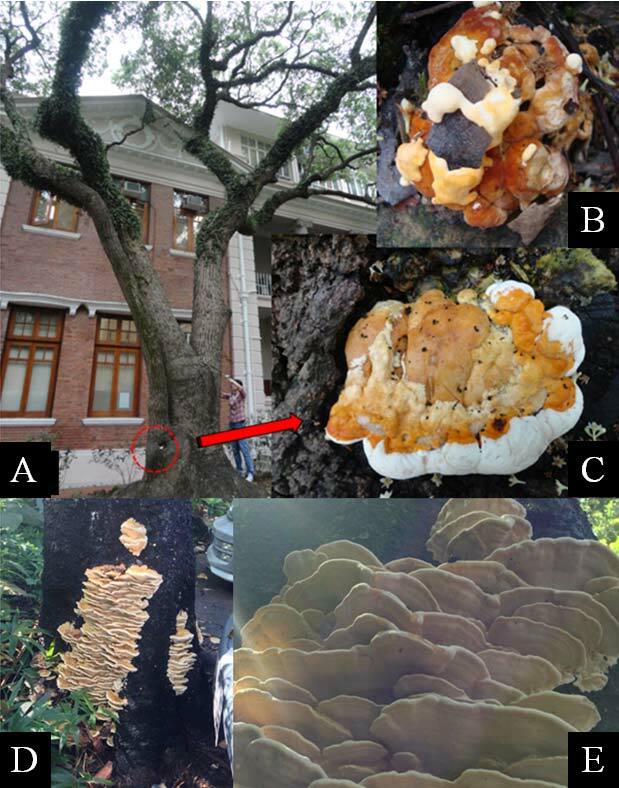 Fruiting bodies observed on trees should be removed to minimise building-up of fungal inoculum. 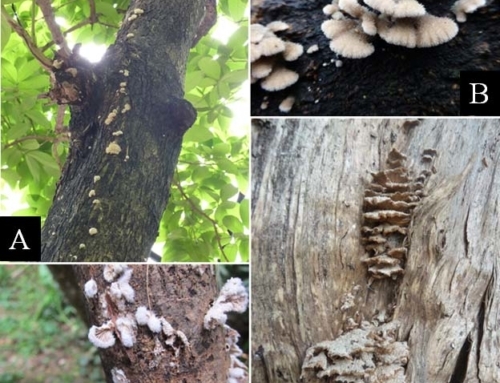 Fungicides may be applied on the trees as an interim measure to retard fungal growth. 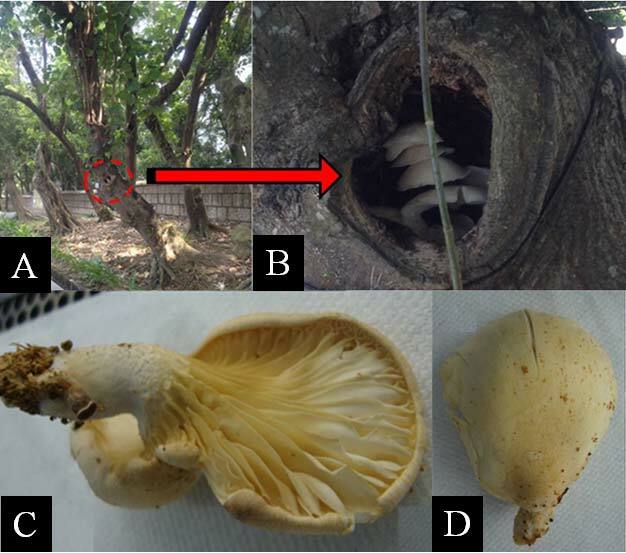 As there are occasions where trees detected with Earliella scabrosa are also infected with some other pathogenic root rotting fungi such as Phellinus noxius and Ganoderma spp., it is advisable to check the root and root collar regions of the host trees for the presence of other pathogenic root rotting fungi. As wounds may serve as entry courts for this fungus, trees should be avoided and minimised from injury arisen from large area pruning cut/ mechanical damages.